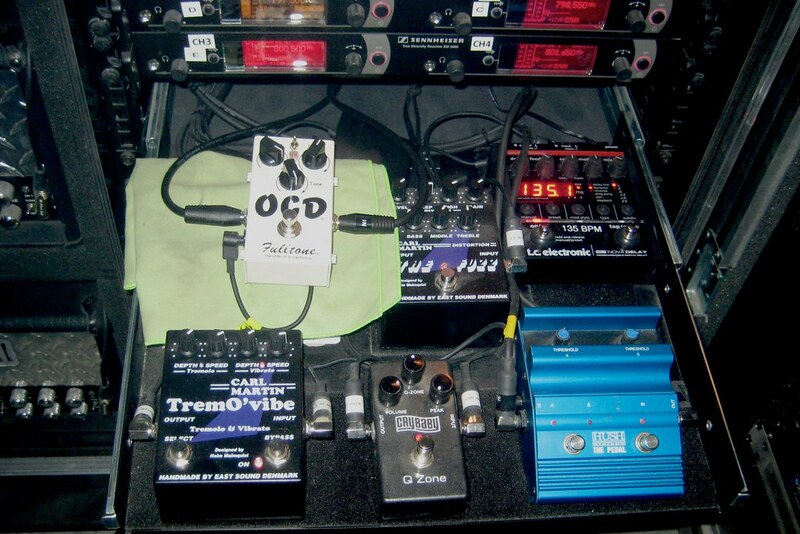 The Dunlop Crybaby QZ-1 Q-Zone Pedal is featured in Josh Homme's pedalboard, the one used for the Queens of the Stone Age. At 9:14 in this Rig Rundown for Troy Van Leeuwen of [The Wongergirls](http://equipboard.com/band/the-wondergirls), [Queens of the Stone Age](http://equipboard.com/band/queens-of-the-stone-age), [Enemy](http://equipboard.com/band/enemy), [Failure](http://equipboard.com/band/failure), [A Perfect Circle](http://equipboard.com/band/a-perfect-circle), [Sweathead](http://equipboard.com/band/sweethead), and [The Desert Sessions](http://equipboard.com/band/the-desert-sessions), his gear is displayed, showing a Dunlop Cry Baby QZ-1 Q-Zone Pedal. At 2:01 in this video, a Dunlop Cry Baby QZ-1 can be seen on Brad Whitford's pedalboard. He said in that interview that he uses a QZ1 Crybaby Q-zone by Dunlop when he was asked about the effects which he uses on stage. Many guitarists use Crybaby pedals in a stationary position to quickly get a nasal, vocal, or flange-like tone. The Q Zone stompbox performs this task better because it's not susceptible to accidental bumps. Features the same tone controls as the 95Q, but with stay-put knobs to keep settings stable.